Ivory Silk Magnolia Bow Collection. 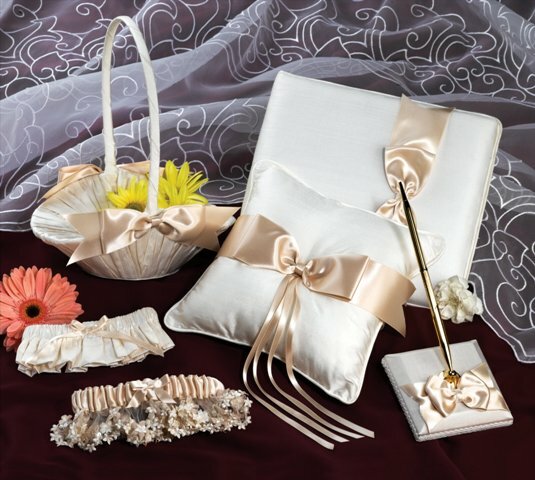 Complete with Guest Book (GB772IM), Ring Pillow (RP472M), Flower Girl Basket(FGB872IM), Guest Pen (GP572IM), and Garters (G212M,G226IM) . Items can be purchased separately below. Alternative colors are available.